Navigating our romantic lives can be filled with incredible highs and unfathomable lows. Everyone enters relationships with a unique idea of what makes connection work. But even with our differences, we have a common thread running through all of us: the deep desire to love and be loved. Jessica is a former actress and fashion model born and raised in the Philippines, and currently living in Los Angeles. A happily married mother of three, she has made the journey from MANnizer to the quintessential polished woman. Utilizing her own past experiences and a passion for helping others, she will quickly become the best friend you wish you had! 1) Who were the hardest to write about? The easiest? Answer: The easiest were the men I dated. Because every single one had some sort of effect in my life. The hardest was writing about myself. It was hard going back to the past. The dating was fun and easy but the painful ones were hard. Especially the part when my husband had an emotional affair. That was tough on me going back to that situation. 2) Is there any ritualistic thing you do during your writing time? Answer: None really, I just need to be in a quiet place which is my bedroom. I can incline my bed so that was helpful in writing and I made sure my phone was off. 3) Any favorite thing to do during weekends? 4) Why did you write this book? Answer: Because of my love for women. 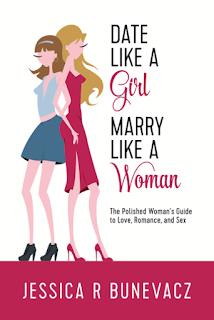 I want every woman to find the man of their dreams, to find love and once they've said their I Do’s, I want to be able to help them maintain a happy marriage. 5) Did you write every day? Answer: Yes, only on weekdays. When the kids were all in school. It’s very hard to write on weekends especially where we live, I feel like we drive the whole day.